What path will the revolution in Turkey take? Will the revolution in Turkey resemble the military coup of the oligarchy, occupying the streets and squares with tanks in the morning, confining the people to their houses? Will it resemble the “ballotbox socialism” of Chile where Allende, in the moment he believed he “had made it”, became the victim of the tanks and the cannons which surrounded the presidential palace? No, the revolution in Turkey will not resemble any of these events. We’re neither putschists, nor conspirators. Putsch and conspiracy belong to the bourgeoisie. We’re no dreamers either. The hope of achieving the revolution by means of the ballot boxes is the hope of petit-bourgeois dreamers, not the hope of the revolutionaries. The path of the revolution in Turkey is determined by Marxism-Leninism. The revolution in Turkey will be no copy of a revolution in another country. A revolution which copies a revolution in another country cannot be successful. The differences in the objective conditions can suffocate such a struggle in its beginning. And we are not people of dogmas and conventions, just as we are no putschists or dreamers. Marxism is opposed to dogmas and set conventions, that’s why it is revolutionary. Revolutionary Marxism can only be shown in a revolutionary struggle which applies the forms of struggle and means which are according to the conditions of the country where the struggle is waged. Dogmatism and thinking in set conventions are contrary to a revolutionary view of the struggle. When we look at the revolutions which have been successfully achived till now, we see that none resembles the other, even though some took place in the same time.The revolutionary view of history maintains that history is the product of a conflict of interests of different groups. This conflict of interests is the motor of history. So if we do not want to maintain or copy the status quo, if we want change instead, we have to organise the struggle, keeping in mind the time we live in and the circumstances we fight in. Until now, every revolution was not just a struggle against the bourgeoisie, it was a struggle against dogmatism, set conventions and mechanist views as well. The struggle of the latter sort was sometimes as hard as the struggle against the bourgeoisie. The Soviet, the Cuban and Chinese revolutions possessed this character and we can say they found their real identity in this struggle. The revolutionary strategy in Turkey arose from concrete circumstances. The planning and the goals of the struggle, its forms and the complexion of the classes which participated in the struggle, are determined by this strategy and as long as these conditions don’t change, this strategy will be pursued. The strategy of the anti-oligarchic people’s revolution, leading to the liberation of the peoples in Turkey, is called PASS by us, the politicised military war strategy. But it differs from the strategies of the people’s wars in Vietnam and China. The key to understanding this strategy is the Marxist-Leninist analysis of the third war period of imperialism and the conditions in neo-colonialised Turkey during this period. The strategy of the revolutionary war in Turkey must keep in mind the economical, social and political changes, arising from the neo-colonialisation of Turkey and its relations with imperialism. Seen from this perspective, it’s necessary to address the theme of the “evolutionary and revolutionary phases”. Before going into the strategy of revolution, we therefore want to address the theme of “phases of evolution and revolution” and the theme of”artificial balance” because they influence the formation of our revolutionary strategy directly. Because these aspects were never understood by the dogmatic left in our country, there is a lot of speculation about them, they are neglected and deformed. Reality in Turkey is determined by the phases of evolution and revolution which shade off into one another and by the artificial balance. These conditions are characteristic of neo-colonialised countries. Although the ruling classes claim differently, social revolutions occur under conditions which do not depend on the will of “superhumans”, heroes and classes, they do not depend on a divine will. Marxism divides the process of development and change in society in two categories, depending on objective conditions: the phases of evolution and the phases of revolution. The phase of evolution is characterised by relatively calm development. Society seems stable and secure. There is a relative balance in the relations between classes, contradictions have not sharpened to the extent of violent clashes. The image of the class struggle appears is relatively calm, there is “peace”. However, in the phase of revolution these calm developments are replaced by social upheavals. Contradictions between classes become deeper, social stability ceases to exist. The relative “balance” between classes shifts, violent confrontations emerge. The position of the classes towards each other changes. Laws and regulations lose their validity. Every class tries to end the process to its own benefit, every class tries to push through its own demands to change relations, or to maintain its rule. At the same time, the existing social institutions degenerate, they start to dissolve. They are replaced by new institutions. Every revolution stems from these conditions, but the existence of these conditions does not necessarily lead to a revolution. Social change occurs after conscious action by people in objective conditions. LENIN says: “The concrete political tasks are determined by concrete conditions”. Therefore the question of which phase one is fighting in is of great importance. The methods of struggle, slogans, tactics and political aims of the party of the proletariat differ fundamentally in these two phases. The meaning of these phases for the political struggle has been on the agenda of political discussions from the time of MARX and ENGELS till the present day. The discussions between right-wing and ultra-left interpreters of Marxism and between Marxists continued till the present day in different epochs, taking different shapes. The discussions between the right-wing and ultra-left interpreters of Marxism especially serve the purpose to infiltrate Marxism with a bourgeois ideology, to prevent the development of the revolutionary struggle, because both interpretations lead, in the end, to the surrendering of the revolutionary potential to the bourgeoisie. MARX, ENGELS and LENIN about evolution and revolution. Determining a revolutionary phase in a country means going through a process in which the realisation of the revolution has become a question of practical action. In other words, analysing the phase of revolution is asking for the material elements which bring the revolutionary will in the forefront, asking whether they constitute the starting point of a civil war, making the revolution a question of practical action. This aspect, analysed differently but supplementing each other regarding the concrete processes, by MARX, ENGELS and LENIN, is one of the best examples of Marxist theory developing over time. At first, MARX and ENGELS, starting from the exploding class struggle in Europe in 1848, argued the thesis that capitalism had gone over into the phase of revolution. Later they saw their error and they started to analyse the concrete conditions for this process. According to MARX and ENGELS, the objective criterion for differentiating between the phases of evolution and revolution is the non-functioning of the law of necessary adaptations between forces of production and the relations in production. LENIN concluded this necessary adaptation was no longer functioning with the transition of capitalism into imperialism. According to MARX and ENGELS, this would lead to a phase of revolution. But as was shown, social revolutions did not occur, and certainly world revolution didn’t. So, did LENIN, MARX and ENGELS err? According to the bourgeois ideologues, Marxism had been bankrupt for a while: the epoch of social revolutions would never emerge. Capitalism was capable of development and renewal. The analysis of LENIN did not show the development of revolutions, it showed the development of capitalism. It showed that capitalism was a global system. The upheaval achieved by Lenin in Russia supposedly was not a revolution, it was a conspiracy, a freak accident which did not have a chance to survive. This view of the bourgeoisie was shared by renegades like KAUTSKY and BERNSTEIN. According to them, the necessary law of adaptation was functioning, capitalism was developing. LENIN was just a conspirator, like BLANQUI had been. But neither MARX, ENGELS, nor LENIN had erred. It was the bourgeoisie which erred and all those who preferred to look at reality through bourgeois spectacles instead of from the perspective of dialectical materialism. However, the task was now to analyse the concrete conditions, to develop Marxism in the lively practice of reality, without dogmatising it. Without the disfunction of the law on adaptation, capitalist society could indeed not enter the phase of revolution. But concrete developments showed that this criterion alone is not sufficient to explain the problem of revolution or evolution. What had been formulated till then explained that with the transition to the phase of imperialism, objective conditions for the revolution would develop worldwide. Therefore it was inevitable that capitalism would have to make way for socialism. But this in itself did not say very much. The question had to asked again, analysed according to the epoch of imperialism, correcting the shortcomings of the answers given till then. Those who at present choose a different starting point in analysing the question of evolution or revolution, who do not start from conquering political power, those people deform Marxism-Leninism. Essential to the discussion about the phase of revolution or evolution is the question of the conditions in which political power can be destroyed. Clarity in this discussion also determines solving the question if evolution or revolution from a Leninist perspective. LENIN argued that the bourgeoisie did not only build up economical hegemony in capitalist society, they also built up political, ideological and cultural hegemony and they at all times possess the capability of keeping broad masses under their influence. Furthermore, the bourgeoisie can maintain its position for a long time with the help of its strong institutionalised organisations. Therefore they are capable of “convincing” the masses, even though they have already become history, that they are able to keep the situation relatively stable, maintaining “peaceful order” with all its rules and laws still valid. In these circumstances, it is impossible to raise the necessary consciousness among the masses for social change, to mobilise them for revolutionary action. To conquer power by a revolution, conditions are required in which the working classes demand change. That is to say, a crisis is needed in which the class contradictions become sharper. >From a Leninist viewpoint, the answer to the question of evolution or revolution lies in the conscious awareness of a moment of crisis. If there is no crisis, society is in phase of evolution. If a crisis exists, society witnesses a phase of revolution. In short, the analysis of the phase of revolution is in fact the analysis of the conditions in which political power is exposed to the masses, in which their discontent is raised, and in which they can be mobilised to destroy the ruling powers through revolution. In other words, discussing the phase of evolution or revolution is a matter of discussing the revolutionary situation. A revolutionary situation means the existence of the objective conditions for conquering political power. In other words, the existence of conditions which enable the solution of the existing contradictions on a revolutionary way. But a revolutionary situation is not a stable, unchanging one. It is a process which changes, characterised by certain minimum criteria. “In the Marxist view, revolution is impossible without a favourable situation for the revolution; moreover, not every revolutionary situation leads to revolution. In general, what are the signs of a state of revolution? (1) When it becomes impossible for the rulers to continue their rule without a change occurring; when among the upper layers of society a crisis occurs in one form or another; when this crisis in the policy of the ruling class creates a space for the discontent and the courage of the oppressed classes to be expressed; to bring about a revolution it is not usually enough that the “bottom layers of society” do not “want” to live the way they did before; what is necessary is that the “upper classes” are in a situation where they can no longer live as in old times; (2) when the situation and needs of the oppressed classes have reached a state where conditions are intolerable; (3) when, as a result of the reasons we have described above, the masses who have “peacefully” put up with being plundered, but in times of unrest come under the influence both of conditions arising from the crisis and of pressure from the upper layers, are themselves dragged into independent and historical action. In other words, this situation can be described as a deepening of the permanently existing crisis in an imperialist country: the increasing crisis is expressed in the social and political level. Thus the economic, social and political crisis combine into a national crisis and the revolutionary crisis emerges. 1. The political crisis must not be seen as a result of the actions of the working classes against the powers that be, it is a result of the contradictions between the ruling classes. Lenin describes the political crisis as a result of the contradictions between the ruling classes and he emphasises that the political crisis of the ruling classes influences the oppressed classes, it will open a valve for their discontent and anger. One cannot ignore the influence of the struggle of the masses on the political crisis, but this does not cause this crisis. On the contrary, the political crisis is the starting point for actions by the masses. The increasing actions by the masses can at best contribute to deepening the crisis. When the political crisis has reached the level that the masses find a valve to express their discontent, they can contribute to increasing the political crisis as much as possible. And if the masses have the right leadership, this process can end in revolution. 2. The revolutionary situation is mainly characterised by the first two points. A third point is determined by them. The point in question is the relation between mass action and the revolutionary situation. Petit bourgeois structures, ostensibly defending Marxism, declare mass actions to be a condition for the revolutionary situation, connecting everything with the spontaneous movement of the masses. They try to create a theoretical foundation for their escape from struggle by claiming justification from LENIN. But such a view can not be found in LENIN’s works at all. Lenin’s characterisation of the revolutionary situation is not based on mass action, it is based on economic elements. Mass actions are mainly a result of the revolutionary situation which is determined by economic factors. The task of the proletarian party is to direct the mass actions against the powers that be. This can be seen even more clearly in other works by LENIN. An example for this is the work “The proletarian revolution and the renegade Kautsky” (Progress Publishers, Volume 28, Pages 227-325). In 1914, during the first imperialist war of division, LENIN concludes there is a revolutionary situation although the masses are drawn into the war because of their chauvinism and even though there is a lack of mass movement. He criticises Kautsky and his supporters who deny the existence of a revolutionary situation. It’s clear that the revolutionary situation is not identified with a mass movement. According to LENIN, the revolutionary situation emerged together with the imperialist war in Europe, starting in 1914. He accuses Kautsky and his supporters of putting the blame for their opportunistic mistakes on the masses, of denying the existence of a revolutionary situation which they try to explain because of a lack of mass action. LENIN points at the fact that this is just a pretext, holding the masses responsible for the own omissions, they only try to escape from their revolutionary duties. 3. And also a social crisis cannot be understood as just an increase of the struggle between the ruling and the working classes. A social crisis is an expression of deepening contradictions, the abyss between the working and the ruling classes. Its objective measure is poverty. The living conditions of the masses have become worse, social prosperity has declined. This existential basis is reflected in the class struggle. It’s also expressed in social degeneration and in the conditions of oppression and defeat. For the deepening of the contradictions to be expressed in class struggle, several factors have to be present. Under conditions of war, like in 1914, the ruling classes can possibly succeed in convincing the masses to endure hunger and poverty for a while. But does this mean the social crisis doesn’t exist? No. If this was the case, concluding there is a revolutionary situation would be a mistake. In evaluating the situation of universal hunger and poverty as a revolutionary situation, LENIN emphasised the social crisis as well not just the economic one. When the costs of a deepening economic crisis are burdened on the working classes, a social crisis becomes inevitable. The Lenin quotation above, in which the revolutionary situation is characterised as a political and economic crisis, should not be misinterpreted. Economic, political and social crisis constitute a dialectical unity. They continue intertwined and cannot be separated. These crises are deepened because of mass actions, but one cannot conclude there are crises just because there are such actions. Let’s look at this question from another angle. Let’s look closer at the different notions which are used in several essays. Especially in “The renegade Kautsky and the proletarian revolution” and “Socialism and War”, we are once in a while confronted with different notions. Here the concrete criterion to establish a revolutionary situation is “universal hunger and destruction”. “Are we going to see a revolutionary situation, or not?”, asks LENIN and he uses a third criterion: the masses are freeing themselves from the opportunistic, social-chauvinistic leadership and they increasingly orientate themselves on revolutionary ideas and tendencies. Under different circumstances than a revolutionary situation, it is impossible that revolutionary slogans find an echo in the masses, that movements which use these slogans find a base in those masses. (An error which is made by all left-wing deviationists). These differing notions lead back to the question of how the revolutionary situation is characterised from a Marxist-Leninist view. When we take the different approaches of LENIN together, the result is as follows: the revolutionary situation is not a result which suddenly occurs and disappears again. It’s an abstraction of a process which goes up and down, determined by objective conditions within minimum and maximum perimeters. The process of the revolutionary situation develops along a path with heights and depths. After spontaneous mass actions, emerging normally as a result of crisis, a speeding development follows which can be channelled into the right direction by the intervention of the proletarian party. Thus the crisis is sharpened and a historical settlement of the working classes with the ruling classes becomes inevitable. From this settlement follows either the revolution – and thus social change – as victorious, or the counter-revolution succeeds in overcoming the crisis and society enters a new stage of evolution. Lenin’s analysis of the revolutionary situation in “Socialism and War” and “Left-Wing Communism” mainly describes the most ripened stage of the revolutionary phase. This stage characterises a certain phase within the revolution, the phase of the uprising. Because of the characteristics of the Soviet revolution, and based on the strategy of a people’s uprising, Lenin’s and Stalin’s analyses mainly concentrate on this point. The conditions for a people’s uprising is interesting them. According to STALIN, the “starting moment of the uprising must be the moment in which the crisis reaches its highest level”. To determine this point is the urgent question in leading the class struggle. But neither the revolutionary situation, nor the phase of the revolution are limited to this phase of developments in these analyses. For example, the situation in 1905, in which even “the most reactionary masses” were moving, was similar to the epoch of the great October Revolution. Already before that, in January 1905 (in fact in December 1904), LENIN sees the beginning of the phase of revolution. In the October revolution in 1917, the months from February till October are seen as the revolutionary phase, that is to say the months in which the Bolshevists were a minority in the Soviet, months in which the majority of the masses, among them politically active workers and farmers, were following bourgeois and petit bourgeois leaders. During the phase of the revolution, one month before the beginning of the October Revolution, LENIN emphasises that the necessary conditions are not given yet for an uprising and he criticises left-wing tendencies. This means it is necessary to know the different stages of the revolutionary phase, as well as knowing that uprising and revolutionary situation are not identical. Therefore the revolutionary situation is characterised with the existence of a crisis which enables the objective conditions for taking power in a revolutionary way, influencing the oppressors as well as the oppressed. It cannot be described by saying the masses took to the streets or the balance of power was beneficial to the revolution. During this process, the masses express their discontent by using the cracks caused by the contradictions among the ruling classes. Simultaneously, they begin to look for an alternative. They begin to orientate to organisations which offer an alternative. They react positively to the slogans of the proletarian party and when this is able to offer the right tactics, the masses will join the ranks of the party. Contrary to the views of opportunism, according to which the majority of the masses must have a socialist consciousness before the revolution can be successful, it was essential to LENIN that there is a revolutionary situation in a country, increasing the existing contradictions. When these conditions exist, he concludes that the revolutionary phase has started. Instead of waiting for the majority to reach a socialist consciousness (which in a country ruled by capitalism, amounts to postponing the revolution till hell freezes over), he proposes, beginning from the demands of the masses, to realise tactics and solutions which free the masses from the influence of the bourgeoisie who spread false hope, the masses are to be directed towards the revolution, power is to be conquered with them. This way has proven itself in practice. Because the revolution is the product of actions by the conscious masses, and because these masses have to be organised and must have a leadership, this subjective condition for realising the revolution is absolutely necessary, it is the conditio sine qua non. The question of the subjective conditions, the conditio sine qua non, is a theme which was widely discussed among the left in our country. At the centre of the discussion, we find a view of rejecting the revolutionary initiative, a view which puts its hopes on a spontaneous uprising of the masses. LENIN describes the appalling extent of ignorance, disorganisation and backwardness of the masses. A party can not exercise much influence on these masses. Nevertheless, LENIN speaks of a revolutionary phase at the same time. A mind which worships spontaneity cannot understand this. LENIN does not describe the subjective condition as the level of organisation and consciousness of the masses, he describes it as the willingness, the revolutionary initiative and the revolutionary struggle of a party which possesses these qualities. LENIN speaks of “achieving a revolution”. It’s not about the phase of the revolution, it is about the moment of the revolution, the moment of the uprising. And the described necessary “organised, conscious majority of the masses” is the “subjective condition” which will lead this uprising to success. The moment of the uprising, the “moment of fate” of the Soviet revolution is, as can be seen in all the works of LENIN, nothing to fool around with. There should be no experiments with uprisings before the necessary conditions are present. LENIN tries to explain this to the “left communists”. Achieving a revolution and a successful uprising is possible with the participation of the organised, conscious broad masses, otherwise achieving the revolution is impossible. However, when this subjective condition is not applied solely to the moment of the uprising itself, when it is applied to the entire phase of revolution, the revolutionary struggle is put aside and, caught by subjectivism, hopes are placed in spontaneous movements. When we speak of subjective conditions, we do not speak about a “majority” necessary for a successful revolution. There is no such notion in Leninism. It is not the fact that masses which are unorganised, unconscious and backward determine the phase of the revolution. It’s rather the role of the revolutionary initiative which is the determining factor. It’s the revolutionary initiative which fulfils the task of the class struggle during the phases of revolution and evolution. It develops tactics, solutions and forms of struggle to educate and organise the masses. During the revolution of 1905, Struve and his cohort opposed the uprising, referring to the disorganisation, the backwardness and unconsciousness of the masses. LENIN reproached them: “their unbridled pessimism about our connection with the masses often only serves as a cover for bourgeois views”, and he emphasised that the basic way to educate the unorganised, unconscious and backward masses is the creation of a revolutionary army and the preparation of the uprising. Because even when the masses are unorganised, unconscious and backward, during the phase of revolution it is the task of the Marxists to educate and unite the masses for the “revolution”, not for legal structures. Although capitalism is going through a crisis all over the world since the phase of imperialism was entered, only few countries, where capitalism developed with its internal dynamics, witness revolutionary situations. History clearly shows this. In general, there has not been a revolutionary situation in a single imperialist country since the second war of partition, that is to say, in the last 40 years. After the first war of partition (1914-1918) and the Great October Revolution, social uprisings and revolutions occurred in years of increasing crisis. Then occurred the crisis of 1929 and a “phase of peace” till 1939. After the second war of partition, a new phase of “peace” occurred until today (except maybe the situation in France during the 1960s). First: the bourgeoisie possesses strong economical, social and political organisations and is able to supply a certain living standard to the working class and the people’s masses. Second: the bourgeois has the possibility to divert the costs of crises of imperialism to the colonies. Enormous profits are extracted from the colonies which are in part passed to the working people which are thus “pacified”. One can conclude that even severe crises can be eased to a certain degree before class contradictions are sufficiently developed. It is possible to maintain a stable situation for a prolonged period, a period in which laws and regulations of the powers that be remain valid. Experience shows that in such societies can, after a phase of decades of evolution, a revolutionary situation might develop and that these societies enter a revolutionary phase. When a revolutionary situation reaches a critical level, the revolution can be achieved under a Marxist-Leninist leadership when no decisive mistakes are made. The decades of evolutionary phase will be replaced by a relatively short revolutionary phase. However, when the subjective condition for the revolution is not present, for example when there is no proletarian party or when grave tactical mistakes are made – for example not recognising the right moment for the uprising – then capitalism is able to overcome the crisis and contradictions will be eased. There will be a new phase of evolution, which will last for a considerable time, before a revolutionary situation might develop again. The development of a revolutionary situation, its short period of maturing and the sudden change towards social revolution, gives us the opportunity to draw a clear line between phases of evolution and phases of revolution. Social, political and economic factors are playing a role in this development, but the qualitative strength of the working class, the democratic consciousness of the masses and their combative tradition are the decisive factors. In situations of crisis, in which the needs of the bourgeoisie can only be satisfied by increased exploitation, it will have to restrict the democratic and economical rights of the masses. This will lead to a jump of spontaneous actions by the masses whose level of living conditions have dropped. They will try to defend their rights. The attacks by the bourgeoisie will increase, the resistance by the masses will become stronger. The balance between the classes will become unstable. The status quo will begin to crumble. Laws and regulations, valid hitherto, will lose their validity. Confrontations will inevitably be of an armed nature. In moments of crisis, the actions by the masses will increase and they will further increase the crisis itself. Only under exceptional conditions, such as war or fascism, will this not necessarily be the case. This is a clear distinction between a revolutionary and a evolutionary phase. The party of the proletariat, taking into consideration this development, will develop a political line of struggle for both phases. In a evolutionary phase, the slogan of conquering power cannot be a slogan of action, it only serves propaganda. The essential tasks in this prolonged phase are taking the most left-wing position within the democratic opposition, leading them to battle against the existing political power, unmasking the ruling classes by means of propaganda, and – based on peaceful forms of struggle – organising the masses in the struggle for democratic rights. The opposite strategy, attempting a revolution although the objective conditions are not present, would be pure utopianism or adventurism. It is suicide because the masses don’t have demands appropriate demands and can therefore not be moved in this direction. The party of the proletariat teaches the masses the inevitability of the revolution and the necessity of the uprising by preparing the practical tasks of the uprising, developing tactics and solutions on the other hand, aiming the masses at bringing down bourgeois power, and by staying one step in front of the masses’ actions. The party builds up mechanisms of power for the working people, from economic and democratic to political strikes, from demonstrations and street actions to armed battle. It directs the developing actions of the masses towards taking power. At what moment the armed struggle starts, and how it will develop, only depends on the concrete political attitude of the masses. Under these circumstances, the masses will develop most quickly, millions of workers will be mobilised for the right tactics and slogans of the proletarian party, and the moment of the uprising will be reached in a short time. The right judgement of this moment and realising the jump ahead towards the uprising inevitably means: revolution. However, when the conditions for such an uprising are not ripe enough, taking up arms – except when this is absolutely necessary – will not be beneficiary. But mostly the ruling classes force the taking up of arms on the agenda before this stage. Therefore the uprising will mostly develop from war. When the ruling classes succeed in controlling the crisis and turn this process to their benefit, the Marxists-Leninists have to withdraw, with as few losses as possible, and they have to change to “peaceful” means and wait for the next phase of war. If the opposite is the case, the proletariat will continue the war until the end and achieve social change in its most radical form. History clearly shows this. The interventions of imperialism in all spheres of the semi- and neo-colonialised countries created a characteristic of itself by distorting the process of development. Based on this distorted capitalist development, social and political characteristics emerged which cannot be compared with those of the countries where capitalism developed with a dynamic of its own. Equally, it’s impossible the compare the phases of evolution and revolution in these societies. The differences in the characteristics of these countries and in the circumstances of the phases of evolution and revolution require a separate analysis of the semi- and neo-colonial countries and their concrete conditions. In countries under imperialist hegemony, a clear separation between the phases of evolution and revolution, as could be seen in Tsarist Russia, is impossible. This is true for the feudal and semi-feudal countries under imperialist hegemony of the second war period, where imperialism is an external phenomenon, as well as for the countries under imperialist hegemony during the third period of crisis, hindered in their development, in which imperialism is an internal element of the system and in which an imperialist-capitalist mode of production prevails. MAHIR CAYAN pointed to this fact. In these countries, the phase of revolution is not a short one, it is quite a long one. Determining where the phase of evolution ends, and where the phase of revolution is beginning, is de facto impossible. Both phases are intertwined. These conclusions are not based on an abstract analysis, they were reached after considering the concrete conditions of the semi- and neo-colonial countries. They have proven correct in a whole series of revolutions. The characteristics of these countries are thus described by two different phenomena: firstly by a prolonged phase of revolution, and secondly the phases of evolution and revolution are interwoven. Does this mean these descriptions are contradicting, or are two different phases being described. Neither one, nor the other…This seeming contradiction in reality contains two supplementing phenomena, explaining the originality of the concrete social and political processes in the semi- and neo-colonial countries. One: because of the permanent national crisis (constituting a revolutionary situation), social process is mainly a process of revolution. Two: the national crisis is not according the definition of a revolutionary phase in the form of a social change in the classical sense and this will not be made possible in a short while. This means the process is primarily a process of revolution, but it also incorporates the phase of evolution. The permanent national crisis in these countries does not follow a straight line, it fluctuates according to the economic, social and political situation of the country. It doesn’t disappear, neither does it ripe into social change. Even when it is temporarily interrupted, a new crisis will occur before the system is able to recover and stabilise. A beginning and an end of the crisis cannot be recognised, as in Russia where the crisis occurred after a long period of evolution and caused a social change after a short while. The crisis as criterion to differentiate between an evolutionary and a revolutionary phase does not apply. The crisis does not ripen and this gives the social process a character of its own, described as the intertwining of the two phases. a) The general crisis of imperialism is reflected in these countries which go through a permanent economic crisis. They, unlike the imperialist countries, do not possess the opportunity to pass on the burden of this crisis to other countries. Quite on the contrary, they are the countries the imperialist countries pass on their crisis to, thus preventing their own crises from becoming political and social ones. b) The ruling classes try to overcome this crisis by increasing exploitation constantly. Therefore class contradictions increase extremely. The prosperity of the working masses, suffering from exploitation, is sinking. Poverty, unemployment, et cetera are increasing, the crisis is becoming a social one. c) The growing contradictions, the economic, social and political weakness, and the strength of the pre-capitalistic elements are forcing the ruling classes to form an alliance, despite their contradictions. The political situation is characterised by contradictions and unstable. The struggle of the ruling classes for the share of exploitation, left by imperialism, is becoming a source for permanent government crisis. Every change of government creates new confrontations and mobilises new coalitions to take over power. Every new coalition falls apart after a while, clearing the way for a next change of government. All this culminates in a revolutionary situation, whose characteristics are economical, social and national. The permanent crisis created the need for a permanent change, it increases the discontent of the working classes who demand a change of the system. The oppressing and the oppressed classes increase the crisis because of their reactions. There can be no balance between the classes, no “relative peace”, and no stable development in these circumstances. On the contrary, instead of rules and laws there are arbitrariness and lawlessness. When the ruling classes pass a law, they immediately break it themselves. Violence and force are their only means. The ruling classes are in permanent war against the people. Even when one does not consider the background, one recognises the revolutionary situation because of the practical effects of the situation. However, when one connects a revolutionary situation with armed conflicts, it cannot be recognised. The permanent existence of a revolutionary situation determines the social process in these countries as a revolutionary phase. However, permanent crisis will not mature as long as it is not consciously increased on the long term. What are the reasons that there is no upheaval, what is lacking for the beginning of the uprising? Firstly: the situation or the working masses. The working class is, in quality and quantity, not as strong as the working class in the imperialist countries. Their organising and their tradition of struggle and solidarity are weak, their democratic consciousness is not rooted. Their rights, in general, were not gained in a workers’ struggle, they were granted from above. Because of the low industrialisation, the majority of the population consists of unorganised small farmers, spread across the countryside. The peasants, not having a significant part in the economy, are living under feudal conditions, dominated by religious elements. They are controlled by the regime, they do not participate in mass actions and therefore do not contribute in increasing the crisis. The attacks by the ruling classes are not met with the required mass actions. Secondly: because of the fascist character of the state, almost all economic or democratic organisations of the working masses are banned, or their rights only exist on paper. The actions and the resistance to defend the democratic and economic rights are oppressed with violence and terror. The atmosphere of oppression and terror, created by fascism, leads to the masses staying passive because of fear. Thirdly: an artificial balance, characteristic for countries as ours, prevents objective reactions and spontaneous mass actions by the people against the regime. A deterioration of the crisis does not occur. Fourthly: the lacking unity of the economic sector prevents a deterioration of the crisis by a chain reaction. The light and semi-light industries, mainly connected with imperialist monopolies, are isolated from each other. A crisis, occurring in one sector, has no connection to another sector which would influence the entire economic structure. The pre-capitalist classes, part of the coalition of the oligarchy, make sure an industrial crisis does not paralyse the entire economic sector, as would happen in normal conditions. Because of all these reasons, the revolutionary situation in the semi- and neo-colonialised countries does not mature for a long time. Revolution is only possible through actions of conscious revolutionary will and by implementing a strategy of a prolonged war, aimed at seizing power step by step. Although the degree of maturity of the national crisis in the colonial and semi-colonial countries of the second period of crisis is different from the situation in the neo-colonial countries of the third period of crisis of imperialism, similar conclusions can be reached. Countries in the same period of crisis show differences in the development of the revolutionary process as well. It’s obvious that the actions of a revolutionary organisation will play a major role in the deteriorating crisis in these countries. Its interventions must be based on violent action. The existence of a revolutionary situation constitutes the objective condition for the armed struggle and this form of struggle is also needed because of the policy of the enemy, based on overt violence. The political line, realised by the proletarian party, plays a determining role in the development of the class struggle and steering it toward the right goals. It decisively influences the development of the social-political process. Because of this, a real proletarian party does not wait for the masses to rise when a revolutionary situation develops. It intervenes to expand the revolutionary situation. Although the spontaneous reactions of the masses play a role in expanding the crisis, resulting from the increasing class contradictions, they do not suffice to bring the crisis to its top. The ruling classes are able to keep the masses under control, despite these reactions and rejections. The maturing of the revolutionary situation depends on the intervention of the proletarian party. When we look at revolutions in history, including the Russian Revolution, we see the intervention of the proletarian party is needed for the maturing of the revolutionary situation, according to the classic definition if Lenin. This intervention is even more important in countries as ours where spontaneous mass actions are still weak. The tactics for increasing the revolutionary situation are looked at from this perspective. Sooner or later the arms will have to speak. When this point is reached, when it is the time for an uprising, it all depends on the maturity of the revolutionary situation, on the attitude of the classes, on different factors like the conduct of the masses, the political and national characteristics. This means the seizure of power, the organisation of revolutionary violence during a revolutionary situation, depends on the conditions in a country and the form of the revolutionary situation differs accordingly. Simply put, not just the proletariat and its party influence the social process, the ruling classes do as well. In general, development reacts sensitively to the influences by all social classes. During a revolutionary situation, in which the balance between the classes is crumbling, were the situation is becoming unstable, the ruling classes will act as well to ensure a new balance, beneficial to them. In general, the ruling classes will apply violence. However, this violence is met by the violence of the masses, enraged by dishonour and treason, such as the attempt the pacify the proletariat. Answering violence with counter-violence is the universal law of class struggle. Revolutionary violence or servitude, there is no third way! The existence of a revolutionary situation is the primary condition and the objective measure for Marxist tactics, but in itself it is not sufficient.What line of struggle is pursued during the different phases, how the relation between principal and secondary forms of struggle will look like, requires a precise analyses under the objective conditions of the armed struggle as well. For example in countries as ours, a form of struggle which neglects the artificial balance will fail. In this respect we can see differences as well in the development of the revolutionary situation to an uprising in tactics and forms of struggle of the Bolsheviks in 1905 and 1917. The strategies of uprising during the bourgeois-democratic revolution of 1905 differ considerably from the socialist October Revolution of 1917. During the revolution of 1905, the uprising from January to December was prepared by armed confrontations, guerrilla actions and barricade struggle. Because the revolutionary situation and the subjective conditions were given for the uprising, the bayonets of Tsarism intervened and they introduced violence. The proletariat responded accordingly, with violence, and they prepared the uprising. On the contrary, the Socialist October Revolution of 1917 was carried out in a Russia which can be called the most democratic country of the world after the February Revolution. Here violence was on the agenda in the phase of seizing power, in a time when the revolutionary situation reached its summit. The seizure of power was prepared by extensive agitation and propaganda in the Soviets, the masses were prepared for the inevitability of the revolution, trained for the revolutionary situation, by means of “peaceful” methods of struggle. The seizure of power was a question of one single blow. Lenin’s words, “the 6th of November is too soon, the 8th is too late”, must be seen in this context. As long as the bourgeois does not put violence on the agenda itself, it’s obvious the proletariat will prefer this development in realising the strategy of the uprising. In countries such as ours, where the ruling classes will, from the start,fall back on the use of violence to secure their rule, with its characteristics of a distorted capitalism, a constantly deepening national crisis, an underdeveloped consciousness of the masses, a weak working class, et cetera, the revolution must develop differently. The universal rule of revolutionary counter-violence, conscious revolutionary interventions, are absolutely necessary for deepening the crisis. Arguing that the situation of the masses is a hindrance to fulfilling this task does not testify of a Marxist-Leninist attitude, it means becoming a victim of the objective conditions. There lies the dead end of the petite-bourgeois deviations. Because of the bankruptcy of their theory in practical life, and the resulting isolation from the masses, they are forced to act contrary to their convictions and they will have to apply violence to a certain degree. Our country cannot, unlike Tsarist Russia, go through a long phase of preparation without armed struggle. The imperialist occupation and the fascist character of the state will bring violence on the agenda quite early. Not answering the civil fascist terror, the political police, the MIT, the contra-guerrillas, the military junta – whose violence comes in the forefront in several phases – with revolutionary violence, with the violence of the masses, would be nothing but fleeing from the most basic tasks of the class struggle. Therefore it is meaningless to defend the armed struggle in the countries which depend on imperialism theoretically, to postpone it to future times. Such a line essentially rejects the revolution on the basis of revolutionary violence, and it pursues a strategy of reformism like STRUVE, AKSELROD and KAUTSKY. Applying revolutionary violence against the concrete violence of the enemy is a inevitable task. It is even more a duty to give the people the means to apply its violence in practice. Escaping this task and fleeing into opportunism is treason to the revolution. The question of victory or defeat loses its meaning. One has to believe in the victory of the people and one has to put revolutionary violence against the counter-revolutionary violence and fight to achieve this victory. Without doubt, the goal of armed struggle is seizing political power. But this goal cannot be achieved in a short time. The masses have to be gathered under one will, aimed at one goal, and they have to be educated. The development of the revolutionary situation must coincide with the armed struggle and victory must be gained step by step. In general this is the developing characteristic of social revolution in the semi-colonial and neo-colonial countries. In countries where the revolution has not been realised yet, the development will be similar in general as well. But there will be important differences in the development of the revolutionary situation and the armed struggle also. But we will not address this here. – According to the Marxist-Leninist theory, the characteristic to differentiate between a revolutionary and an evolutionary situation is whether the conditions exist to take over power in a revolutionary way, or not. Because the consciousness of the masses cannot be socialist under capitalist conditions, because the oppressed are more or less satisfied with their life and the powers that be maintain an atmosphere of “peace” with compromises, reforms, et cetera, the masses cannot be mobilised for revolutionary actions. It takes a crisis to change these conditions. – This crisis causes a revolutionary situation. The quality of the discussion about evolution and revolution is the question of the existence of a revolutionary situation. – The revolutionary situation cannot be equated with the existence of mass movements. It is characterised by the economic and social crisis, causing discontent among the masses, paralysing the government of the ruling classes, causing a political crisis. In this situation the relative balance between the classes, the stable “peace”, dissolves and it is replaced by severe confrontations and the instability of the revolutionary situation. The laws of the evolutionary situation lose their validity, lawlessness and overt violence determine the agenda. – In the countries where capitalism developed with a dynamic of its own, the revolutionary situation emerges after long periods, in certain phases. But then it matures in a short time and it will enable radical social change. In such a situation, either the revolution will be realised, or the bourgeoisie succeeds in overcoming the crisis, leading society into a new phase of evolution. Revolutionary and evolutionary phases succeed each other. These phases can be clearly separated from each other. – The semi- and neo-colonial countries go through a permanent existence of a revolutionary situation. The ruling classes are not able to overcome the crisis. Social developments are in general dominated by the revolutionary situation. But because this crisis has not matured, and it will not mature by itself, the social process simultaneously possesses characteristics of an evolutionary situation. Such countries are characterised by the simultaneous existence of the evolutionary and the revolutionary situation. This characteristic is a result of the dependency on the countries of imperialism. The character of this social and political process of development, distorted by imperialism, is expressed in the intertwining of the revolutionary and the evolutionary situation. B. WHAT DOES ARTIFICIAL BALANCE MEAN? The artificial balance is primarily an objective fact. The neo-colonial countries in the third period of crisis of imperialism go through a permanent national crisis. However, the people’s masses remain passive. This artificial balance is the expression of the passivity of the leadership which determine the theory and the practice of this period. The simultaneous existence of the national crisis and the passivity of the masses seems paradoxical. The dialectic of social development shows a lot of these complicated, but understandable, facts. The artificial balance is nothing but the unity of contradictions. This paradox is described by MAHIR CAYAN as “artificial balance between the discontent and the reactions of the people and the oligarchy”. The people are not satisfied with the regime and the powers that be. They demand changes. But discontent is not expressed in actions, or in other words, the people do not react with actions which correspond with their discontent. The artificial balance is the expression of this objective condition. For Marxist-Leninists, this artificial balance has nothing to do with the dilemma of the existence or non-existence of the class struggle or mass movements. Dozens of examples can support MAHIR CAYAN’S call that “for discontent and the apparently absent movement of the masses to be transformed into action, we’ll have to be convincing”. Despite the apparent absence of response, we speak of an artificial balance. During a national crisis, the people will express its discontent anyway and they will influence the political structure. But the reactions by the people do not correspond with the discontent of the people and the national crisis the neo-colonial countries go through. The reactions are not as strong as they should be, and they are not aimed against the state. The notion of an artificial balance tries to express this. Some mechanical-dogmatic views equate the discontent of the masses with spontaneous mass actions. This view contradicts the above but isn’t able to explain the inconsistency between the discontent and the lack of spontaneous mass actions after the coup of September 12, 1980. The visible actions of the masses were in no way corresponding with the potential of discontent. The strategy of the revolution in the neo-colonial countries aims at this potential. The strategy contains means and methods to organise this potential. The mass movements, temporarily on the increase in the neo-colonial countries, do not contradict the existence of the artificial balance. A strengthening or a weakening of the artificial balance mainly depends on the development of the armed struggle, but they are related to the development of the entire class struggle. This formulation is a general one. Abstraction always implies reduction and loss of some concrete factors and it should not be forgotten that the general contains the essence. We can witness exceptions in concrete practice where mass movements grow spontaneously in some neo-colonial country. Developments of the class struggle and change in the balance of forces can cause such a situation. For example, the character of the anti-fascist struggle in our country before September 12, 1980, influenced the masses and brought them, even if in self-defence, to participate in the struggle. This played a role in the increase of the economical-democratic struggle before the coup. The masses, confronted with the security forces, took an – albeit partial – radical stand. In this phase, the state was weakened and impaired because of the acts of revolutionary violence, mass actions and the contradictions within the oligarchy. The artificial balance was weakened. The participation of the masses in the struggle at the side of the revolutionaries grew day by day. Based on the armed struggle, the class struggle increased and the artificial balance was weakened. In countries such as Chile, Pakistan and Haiti, different in history and politics, the artificial balance was even weakened further by the mass movements. But after the coup of September 12, 1980, we witnessed many years of silence of the masses. This silence cannot be explained with contentment of the masses. But how to explain the contradiction between discontent of the masses and their silence? What prevents the masses rising, what prevents their reactions? Some try to answer these questions by referring to “intimidation and oppression” of the masses. This answer would be sufficient if the masses would react to the robbing of their rights with actions and when these actions would be answered with intimidation and oppression. Bit there were no mass actions, they kept silent from the beginning of the developments. This cannot be explained with the existence of oppression and intimidation. “The methods of neo-colonialism have two results: on one hand imperialism gets rooted in the neo-colonial countries. This is not an external factor, but an internal element of the society in these countries. On the other hand: the rule of imperialism in the countries which are kept underdeveloped results in an increased production, compared to the old feudal system in the epoch of colonialism, corresponding to the development of the market, bringing a relative prosperity. Parallel to the expansion of the internal market, urbanisation occurred, the means of communications and the infrastructure were developed, the country was connected. The weak feudal control over the people was replaced by the strong authority of the state apparatus of the oligarchy. (Imperialism concentrated in the centres of commerce and communication). The oligarchy expanded its rule into all corners of the country by means of the military and the police, applying all possible means of pacification and propaganda. On top of that, propaganda and the means of pacification were developed, not comparable with the means which were applied by imperialism during the first and second period of crisis, learning from the experiences of the national liberation wars of the past. MAHIR CAYAN addresses the question of balance extensively. The artificial balance is the result of the factors, addressed in the quotation, presenting the picture of the social, political and economic characteristics of the country. Therefore this is characteristic for the neo-colonial countries during the third period of crisis of imperialism. 1) The transformation of an overt occupation by imperialism into a covert one and, as a result, the neutralisation of the national reactions by the people’s masses against the occupiers. 2) A relative prosperity, accompanying the development of capitalism and the growth of the market, even though it is distorted and just a replacement of feudalism. 3) The construction of a strong central state authority as a result of capitalist development and its control, spreading all over the country. 4) The strong ideological hegemony of imperialism and the oligarchy, their influence on the consciousness of the people’s masses and the experience of imperialism in pacifying the masses. All these factors are products of a distorted capitalist development in the neo-colonial countries, depending on imperialism. These elements could not be seen in the colonies of the third period of crisis of imperialism. In the semi-colonies and the colonies of the second period of crisis, the masses showed reactions against the regime. This was elevated by overt imperialist occupation on the one hand and unbearable exploitation and oppression, combined with a weak national central state, on the other. Both led to spontaneous regional people’s uprisings, especially in the rural areas. The aversion of the people’s masses against the occupation by strangers, against imperialism and the feudal exploitation, caused spontaneous armed rebellions. During the third period of crisis, according to the covert occupation, the national army and forces of the national state are deployed, in stead of the military of the imperialists themselves, leading the masses to mistake the military for their own national military. Although the military and the state forces fulfil the same function as the organs of imperialism, the masses do not show the same reactions against the military and state forces as in an overt occupation by imperialism. Their reactions are neutralised, their anti-imperialist attitude remains passive. compared to the second period of crisis – huge means of propaganda enable an extensive distribution of the official ideology among the masses. The unorganised masses, influenced by the oligarchy, get the impression the machinery of the state is “strong as a monster” and invincible. The people hate the regime and they desire its fall. But at the same time they don’t believe in the possibility of such a fall, they resign themselves to their “fate” instead of resisting. Its actions and demands remain within the limits, set by the regime, its hopes are put on alternatives, presented by the state. All democratic demands are oppressed with violence, the state makes its strength felt at every opportunity. This, and demagogic propaganda, contribute to a stabilisation of power. Even the left tendencies, seeing themselves as the vanguard of the masses, at the same time propagating only peaceful methods, contribute to this image of the state’s omnipotence among the masses. These tendencies all develop according to the same model: their initial slogans of armed uprising fall silent because of the harsh conditions of work in the phase of evolution in which they do not develop an opportunity to put their theory into practice. Their theoretical calls for an uprising are in contradiction to their pacifist practice and they begin to follow the bourgeoisie, based on reformist alternatives. The artificial balance is rather strengthened instead of weakened by this practice of only peaceful protest. The people witness how its “vanguard” is intimidated by the attacks and the power of the state, how they do not show any courage to go beyond the limits set by the regime. It is strengthened in its error of believing in the invincibility of the state. Parallel to this, a relative prosperity develops because of the capitalist way of production, especially because of the expansion of the light and semi-heavy consumer industries. The harsh feudal exploitation is replaced by a seemingly more bearable capitalist one. The segment of the petit bourgeois expands considerably and it constitutes the social basis for the oligarchy, as well as the material base for pacifism in the neo-colonial countries. All developments and reforms are pushed through from above, they appear as an improvement of the situation, offered by the state. Capitalist development did not correspond with the struggle of the proletariat and the people’s masses. The state, compared to the feudal system, now possesses a highly developed propaganda machine and modern means of communication which replace the primitive religious institutions. Together with estrangement, degeneration and decay of morals, they influence the consciousness of the masses as required by the regime. All these factors together create an artificial balance, and they maintain it. Such an artificial balance exists, in one way or the other, in all neo-colonial countries. But in analysing the balance in every concrete case, the concrete historical, social, economic and cultural factors must be taken into consideration. Otherwise such an analysis would inevitably lead to mistakes. For example, in Latin America we see oligarchies which consist of a few family clans, excluding other segments of the bourgeoisie. The primitive exploitation and the harsh oppression, the military – overtly acting as a party on the class level -, its huge share in the exploitation, the lack of experience of the central state apparatus – formed during the third period of crisis, and the historical tradition of people’s uprisings make sure of a relatively weak artificial balance. And although these characteristics are valid for most countries in Latin America, concrete differences in practice lead to corresponding concrete differences in the artificial balance. We will now address more extensively the factor of relative prosperity. It is one of the central factors in determining the appearance of the artificial balance. At the same time it touches on the central issue of the demagogy aimed against the THKP-C and DEVRIMCI SOL. The factor of relative prosperity cannot be seen separate from the artificial balance. It’s one of the reasons for the existence of the artificial balance and only has a meaning in its context. Social or economic factors have a meaning for a political movement in as far as they play a role in the distortion of the consciousness of the masses. It may be the task of intellectuals and academics to study the developments in society in detail, without having a concrete goal. However, Marxist-Leninists have the duty to open up the consciousness of the masses, to educate them about political facts, and to realise the revolution together with them. From this perspective we will leave many details, like economic figures and statistics, aside in looking at our theme of the relative prosperity which, besides an economic dimension, has a subjective dimension as well. In describing the economic aspect we will satisfy ourselves with presenting a objective and general picture, concentrating on the psychology and consciousness building of the masses, formed in this context. We would like to emphasise once again we will deal with the connection between relative prosperity and artificial balance, but this is not to say this abstraction of other social and economic conditions for the artificial balance means they can be neglected. All factors should rather be seen as a complex. What is relative prosperity? Does it express real prosperity, is it contrary to poverty? On the other hand: the rule of imperialism in the countries which are kept underdeveloped results in an increased production, compared to the old feudal system in the epoch of colonialism, corresponding to the development of the market, bringing a relative prosperity. This results in a decrease of the contradictions in the countries which are hindered in their development by imperialism – compared to the epoch of feudalism – and an artificial balance between the reactions of the people’s masses against the regime and the oligarchy. 1) The expansion of the market and the increase of society’s production. 2) The comparison of the conditions of the old epoch of colonialism and the new one. The notion of relative prosperity lies in these two points. Abstracting this notion from these points would however be quite useless. The notion of relative prosperity contains a comparison, a dependency, something limited. The notion of relative prosperity is a prosperity which has to be related to something else. Quite obviously, this is the economic development of a country. In our country, a characteristically distorted capitalism.Isolated from this, relative prosperity has no meaning. The prosperity offered to the masses in this capitalism can only be a relative prosperity, prosperity in the real sense can only be possible in a socialist country. Starting from this, one should not make the mistake of comparing the notion of prosperity, as it has to be defined in countries as ours, with the content of the notion of prosperity in the capitalist countries. Prosperity in the capitalist countries is created by profit, mainly originating from the colonies. This profit is partly handed over to the masses. Capitalism is able to hand over part of the profits from capital export to the working class at home, even though the level of prosperity differs in different epochs because of the instability of the capitalist elements. But we should not ignore the struggle of the working class in reaching this level of prosperity. Prosperity in these countries is an average kind of comfortable living standard for the masses. The pro capita income can not be compared with that in our countries. The living standard of the classes is not as unbalanced as in the colonies where abysses emerge between the classes and the imbalance leads to confrontations. Also, unemployment in the imperialist countries is not a factor which impoverishes the masses. The unemployed can keep alive because of the “unemployment benefit” or “welfare”. In order not to mix up this form of relative prosperity with the “relative prosperity” in countries like ours, we will call it “bourgeois prosperity”, contrary to the “relative prosperity” in our country and the colonies. We cannot speak of bourgeois prosperity, as in the capitalist countries, in countries such as ours. Because of the distorted capitalist development and the dependency on imperialism, capitalism in such countries lack the requirements to offer the masses such a standard of living. After this defining of notions, we will concentrate on our country again and on “prosperity in relation to and enabled by”. The answer to the question “in relation to” is: compared to the old form of colonialism, dominated by feudalism. In the comparison with feudalism, we have the possibility to explain the changes in the lives of the masses. The answer to the question “enabled by” is found in the expansion of sales and the market and the increase of society’s production in neo-colonialism. In other words, because of the distorted capitalist development, the abolition of feudalism from above, the emerging light and middle industries, aimed at consumption and dependent on imperialism. MAHIR CAYAN also mentions the relative prosperity several times in connection with the development of the light and medium consumer industries. This characterises the change in the lives of the masses. The development of a distorted capitalism from above, and therefore the abolition of feudal relations, enables the masses to overcome the feudal form of exploitation and gives them the chance to use some developments, necessary for capitalism, for themselves. Thus the masses become consumers on a market on the one hand, their life is changed on the other. This is the character of the development process in our country in the 1950s. The rapid development of capitalism and the build-up of an infrastructure of traffic and communication caused the dissolution of feudal relations. While the capitalist market expanded, the proletariat developed, urbanisation and migration started, slums emerged at the boundaries of the larger cities. The migration from the rural areas to the cities, starting in the 1950s and increasing around 1965, still continues. Because of the development of roads and traffic means, the market for industrial goods and imported goods from the imperialist countries, previously limited to the centres, expanded to the most remote corners of our country. Goods from the light and middle consumer industries could be transported to the consumers everywhere. A lot of consumer goods are no longer luxury, they are now consumed by the broad masses. However, the struggle between feudalism and capitalism is not yet finished in the neo-colonial countries. The distorted capitalism has changed the situation to its benefit, but the struggle continues. Because this capitalism, controlled by imperialism, is not able to eradicate feudalism completely, neither economically, nor politically. The process of overcoming the feudal relations and the opening of broader areas to the capitalist market is still going on. The difference between the initially quite rapid developments in the 1950s under the DP (Democratic Party) government and the developments of recent years is just a quantitative one. The decisions of January 24, 1980, the structural changes promised by the bourgeoisie and leading some leftists to believe they had gone bankrupt, were not in vain. It is quite easy to understand which forces were an obstacle to the attempts for land reform after March 12, 1971, and September 12, 1980, to the benefit of the monopoly-bourgeoisie and capitalism. But despite these obstacles, development went to the benefit of capitalism. And this will remain the way it goes. The expansion of the capitalist market has not come to a halt. Anatolia, especially the rural areas, are being opened to the capitalist consumer industry. The rural areas in the eastern region of the Black Sea and large parts of Kurdistan were opened – with motorways – after September 1980. Another important example is the GAP project. All these developments lead to new consumer areas on the one hand, and a change of life for the masses on the other. How do these developments change the lives of the masses and what way of life does capitalism offer them? Primarily, the peasant – representing almost the entire population – totally depended on the land during the feudal epoch. Their only choice was working in the fields or becoming a serf of the large landowners. There was no other way of life. Capitalism broke through this absolute dependency. New alternatives were offered to the masses, changing into the proletariat. Secondly, capitalist production for the market needs the consumption of the masses. The existence of capitalism depends on it. It can not satisfy itself with a consumer capacity of “bread, water, salt and clothes”. This problem did not exist under feudalism. The basic needs of a peasant to produce were sufficient as consumer goods. Thirdly, consumption by the broad masses became possible because of the – compared to feudalism – progressive – production, and the opening of even the most remote corners of the country to the market of capitalist goods. The masses were able to use a lot of opportunities of capitalist production for themselves. Fourthly, the development of the infrastructure of the capitalist industry and its market in itself created possibilities which could be used by the masses. For example, electricity – necessary for consumption in the households – constituted an important change in the lives of the masses. All this determines the way the masses are living and their living conditions are relatively improved. MAHIR CAYAN pointed to the fact that the light and middle consumer industries in our country are even more strongly developed, compared to ther neo-colonial countries. The resulting changes in the lives of the masses are described by CHE GUEVARA with the words: “the living conditions of the people in a situation which is considered minimally normal, are not as severe as other conditions”. The distorted capitalist development and its relations of exploitation are not able to create further improvements of the living conditions of the masses. This change in the way of life and the living conditions of the masses constitutes the objective side of relative prosperity. Foremost it must be valued as a change of the way of life. Only taking progress or decline as a criterion leads to explaining relative prosperity with the wages and prices policy, understanding it as a factor determined by the epoch. This would be a fundamentally wrong view. Relative prosperity is a necessary consequence of capitalism, of the -albeit distorted – development of the production forces, the light and middle consumer industries and the markets in the colonial countries. Now some, who explain relative prosperity with progress and decline of the living conditions, will object how a softening of contradictions between the masses and the regime is possible when living conditions of the masses are becoming worse. Poverty, relative prosperity and the softening of contradictions are connected. The softening of contradictions is a relative factor, not an absolute one. If we would have defined relative prosperity as opposed to poverty, we could not speak of “prosperity”, not even in the metropolitan areas. Even in the imperialist countries, the living conditions of the masses have a tendency towards decline, not improvement. It’s a known fact capitalism develops by creating poverty. Those who explain relations and contradictions between the masses and the regime only by the “literature of poverty”, will not understand. If contradictions would only depend on this (or: why did the starving people of Africa not stand up? ), social science would look completely different. Before addressing this question, we want to make clear this: the softening of contradictions shouldn’t be interpreted in the way that discontent about the regime is disappearing as well. This discontent is always existent, and it is decisive. This is also emphasised by MAHIR CAYAN. The strategy of the revolution is based on this concrete fact. The softening of contradictions should always be seen in the context of discontent. It is a hindrance for increasing the contradictions. Even more important: the softening of contradictions only exists as an illusion. Relative prosperity and its softening effect con only be comprehended completely when it is understood that both only exist as an illusion. How to explain this? In countries like Turkey, the process of abolishing feudalism and expanding the markets is still continuing. This means that exploitation and poverty among the masses are increasing on the one hand. Social contradictions and discontent are deepening. On the other hand, the process of social change still continues, albeit more slowly compared to the 1950s. Feudal relations make way for capitalist relations, the volume of the capitalist markets, expanding to all the corners of the country, is increasing. The development of the productive forces, albeit distorted, gives the impression the masses are given new opportunities. This impression leads to a contradictory situation, the masses are deluded, hopes are raised, and the contradictions are softened. But this does not solve the problem. Even more important are the changes in the views and the psychology of the masses caused by capitalism. Like all new developments, distorted capitalism changes the way of life of the masses, not just material, also psychological. The masses are injected with a new philosophy of life, reflecting the character of capitalism. This factor plays a major role in the softening of the contradictions, constituting the subjective side of relative prosperity. This subjective side is often neglected. The characteristics of this new philosophy of life are as follows: capitalism and its distorted culture of consumption seemingly offer the masses “several alternatives”, raising the desire among the people’s masses to make use of them. New “values are created, all is aimed at increasing theliving standards”. The “alternatives” which are offered keep this desire alive. All efforts are aimed at achieving this offer. Feudalism is not able to raise such hopes. It only knows one way of life, there are no alternatives, not even hopes. Feudalism has been institutionalised, economically as well as judicially. Capitalism, breaking through these limits, raises the desire among the masses to climb up to the higher classes. Under these circumstances, the masses are caught in a daily struggle for life, they work more and with more family members in the hope of breaking through the boundaries of their class, climbing up, without noticing how they are being exploited, without realising what capitalism is offering them in reality. Furthermore, the culture of capitalist consumption in our country differs from that in the capitalist countries. Arabesque in all areas (a culture which propagates servitude as being an inevitable fate), it puts its stamp on consumption as well. Unconscious consumption prevails, encouraged by capitalism. Although the fundamental problems of the masses are in no way solved, people use other standards to measure the change in their living conditions as a consequence of this culture. Therefore it is possible to see families in Anatolia whose housing problems have not been solved, but whose hovel is furnished with a colour television. Here we see also the relation between relative prosperity and artificial balance, that is to say the softening of contradictions. And it becomes more clear why relative prosperity cannot be separated from the artificial balance. This philosophy of life, playing an important factor in looking at the relative prosperity, takes a direct role of its own in the forming of relative prosperity. The bourgeois ideology encourages and intensifies this. Thus nourishing the empty hopes of the masses, exploited more and more, of improvement within the limits of the system. This hope is nourished, despite discontent, by the capitalist notion of consumption and the new philosophy of life. These views are concretely expressed in our country in the “literature of fate”, widespread among the masses. Together with the new culture of consumption, it encourages consumption at all costs. This situation is a product of the philosophy of fate, based on the relative prosperity, but this philosophy must be seen in the context of other elements which constitute the artificial balance, especially the image of power of the state and its repressive character. Those who fight for improved living conditions, are confronted by state repression. They do not give up the struggle for their rights, but based on the presumption that the state is invincible, they try to avoid the fight with the state, they try to accommodate themselves with the conditions and they are grateful for the illusory changes in their living conditions, created by a distorted capitalism. Furthermore, they see the development of capitalism from top to bottom as a present, offered by the state. So the state looks like a giant in the eyes of the masses, having a stick in one hand and a carrot in the other. When revolutionary interventions are lacking and the unorganised masses are influenced by capitalist propaganda, they tend to view relations from an idealist angle. Although they’re not content with the situation, they accept the state they’re in and “thank God, it could be even worse”. These are the changes created by a distorted capitalism in the way of life and the psyche of the masses. Relative prosperity is the expression of all these material and psychological changes. As long as this philosophy of life prevails, relative prosperity must be seen as a factor of the artificial balance even though it is a constitutes a deterioration objectively. Although the masses are discontent with the system, they accept all conceivable pains to gain a little bit of possessions. They see themselves as poor, but when it is about expressing their discontent, they act as if all this does not concern them. They are waiting for a miracle which would change their lives. The desire of getting out of the own class, climbing up to a higher one, becomes the essence of life. This fact becomes more understandable when we consider the fact that our country is a land of petit bourgeois. The broad spread of small production and the strength of the middle classes in our country created a strong desire for the petit bourgeois way of life. The desire of escaping from the own class and the hope for a little more property keeps the people imprisoned within borders of the regime and it fans disinterest in political events. Behind a large part of the people’s conduct lie their wishes and desires. When there’s no revolutionary alternative, moving the people against the system with the right methods, the bourgeois parties are able to influence the masses quite easily because of these wishes and desires. An example of this is the CHP (Republican People’s Party) which succeeded in bringing the masses behind it in 1971 with the slogan of “changing the system”. Relative prosperity shows itself like a mistake of consciousness, created in the masses by a distorted capitalism. The basic aim of the struggle must be to liberate the masses from this mistake. The masses have to see that this regime offers them nothing, that their demands and desires can only be fulfilled by the revolution, that the hopes of a change of the regime, fanned by the bourgeois parties, are just a dream. This can be done by taking the masses away from the tight borders of the struggle for their daily bread, taking them away from the influence of the imperialist media, by unmasking the false hopes of the regime parties and raising attention for the revolutionary movement. It’s not the “literature of poverty” which is put forward, the discontent of the masses with the regime is answered by showing them that a change is possible. It has shown the masses concretely that there is a serious alternative which wages an armed struggle to push through changes. Suitable means must be found which liberate the masses from their mistakes which keep them imprisoned, means which increase the class contradictions and develop the struggle further. – The artificial balance is a characteristic, specific for the neo-colonial countries. at all. The fascist state has to consider the reactions of the masses, their opposition. It will try to neutralise these reactions, establishing the artificial balance. – Our starting-point in the question of the artificial balance is the permanent national crisis as a result of the distorted capitalist relations. – Also in the colonies of the second period of crisis, the ruling classes possess “violent-free” means to maintain their hegemony. But the economic, political and social character of society as a whole cannot prevent spontaneous explosions under the conditions of a national crisis. The artificial balance does not exist. Marxist-Leninist leaders have dealt with the artificial balance, specifically pointing at this difference. The revolutionary struggle, waged against the imperialist occupation and the regime of their internal collaborators, basing themselves on violence and oppression, is a political war. And as every political war, it must have a military strategy which is designed beforehand. The strategy of a revolutionary struggle determines the goal of the revolution (in our country an anti-imperialist, anti-oligarchic people’s revolution) and the phases which have to be passed to reach this goal. It establishes on which classes this struggle will be based and it has a plan to organise these classes accordingly. Furthermore it is the art of waging war. Its task is to research the laws of war and applying them. Strategy is not planning in the short term, it’s long-term planning. In this sense, every revolution must have a strategy and this strategy must reckon with the specific conditions of a country. A strategy not stemming from an analysis of the economic, political and social contradictions in a country, not pointing at a solution for these contradictions, will fail. When these strategies are fixed, taken from somewhere else, they are condemned to go bankrupt in the country’s practice. They are “utopias”, offering the same solutions for all the questions, isolated from life itself. No revolution is a copy of another. The strategy of the Soviet Revolution was a strategy of uprising against Tsarism and the liberal bourgeoisie, which became reactionary, in the imperialist phase of a country ruled by a capitalism which developed an internal dynamic. It was a strategy of uninterrupted revolution in two phases, a bourgeois democratic one and a socialist one, based on a coalition of workers and peasants. The Chinese and Vietnamese revolutions were successful with a strategy of the people’s war, offering a necessary reference point for the revolutions in the colonies and semi-colonies in the imperialist phase. The strategy of the people’s war started from the rural areas, the “soft underbelly” of the imperialist occupation, implemented by the peasants which lived in these areas, and led by the proletariat which is the only class which leads the revolution to its end. The goal of the people’s war, based from the beginning on the armed struggle, was to end the imperialist occupation and the collaborating merchant bourgeoisie, reaching socialism by means of an uninterrupted national democratic revolution. Characteristic for the Cuban and the Nicaraguan revolution are the changes which were brought by the third period of crisis of imperialism. The revolutions in these neo-colonies of imperialism were realised by a strategy of people’s war. Characteristic is the politicised-military war strategy. In Turkey, a neo-colony of imperialism, the revolution will also be carried out on the basis of such a strategy. The politicised-military war strategy in our era, the objective conditions for social change, for the revolution, exist. The problem is to create the subjective conditions which will achieve this revolution. The political power must be conquered, by organising the people and creating the strength of the masses which will bring down the political superstructure, based on violence and oppression, protecting and maintaining capitalist relations as a hindrance for development. How is this strength of the masses created and organised? How and in what ways are the masses given the consciousness so they will join the struggle for power? This question, the most important on the agenda of the revolutionary struggle in the imperialist era, was solved in different ways and with different methods in all revolutions. The most important way during the Soviet revolution were the peaceful forms of struggle to mobilise the masses in the ranks of the revolution. One of the most important instruments in this was the central organ. Through agitation and propaganda of this publication, class consciousness and a revolutionary spirit were created among the masses. Based on this organising, the economic, democratic and political struggle experience, the old machinery of the state was destroyed and the dictatorship of the proletariat was established in its place. In the Chinese and Vietnamese revolutions, victory was achieved by the transformation of the uprisings of the masses, called “rebellious but not revolutionary” by MAO, into a people’s war, led by the proletarian party. Here we speak of spontaneous uprisings of the masses against feudal oppression and imperialist occupation. The masses showed, even if unconsciously, anti-imperialist and anti-feudal reactions and there are uprisings in different places. The point is to arm these spontaneous uprisings with a revolutionary consciousness, directing them against the right target. This has been the basis of the Chinese and Vietnamese revolutions. What way will the revolutionary struggle follow in our country, a neo-colony of imperialism? With what methods will the masses be won for the revolutionary ranks? The answers to these questions will also show what the strategy of the revolution will look like in our country. The specific way of the revolution in our country is about conquering power through a long-lasting people’s war. But this people’s war strategy is different from the people’s wars in the colonies and semi-colonies of the second period of crisis. It aims at drawing the masses into the ranks of the revolution, in the beginning by means of the vanguard war on the basis of armed propaganda. “However convenient brief definitions may be, because they summarise the most important points, they are nevertheless inadequate, as soon as the essential characteristics of a phenomenon one is defining are taken out of their context…” LENIN points out that this should not be forgotten. MAHIR CAYAN’s definition is a short and general one, containing the basic characteristics of the analysed phenomena. When this situation of the “nominal and relative” value of this definition is forgotten, one inevitably falls into a false and extreme definition. The politicised military war strategy is the people’s war strategy in the neo-colonialised countries like Turkey, based on the contradictions and conditions of the third period of crisis. Its definition emphasises this characteristic, it mainly deals with the point which is different to the other people’s war strategies: how the people are to be organised in the ranks of the revolution. When the politicised military war strategy is misunderstood at this focus point of how the masses are to be won for the revolution, this will lead to poor results. What will the people’s war strategy in our country look like? Those who didn’t understand the meaning of the politicised military war strategy and who satisfy themselves with superficial assessments are tempted to reduce the people’s war to the vanguard war and armed propaganda. Here the question can be asked: if the revolution strategy in our country is the people’s war strategy, why then is the definition of the politicised military war strategy limited to just the vanguard war and armed propaganda? Shouldn’t the strategy of the revolution comprise the revolutionary process as a whole? Of course, a revolutionary strategy should contain and explain the revolutionary process as a whole, not just a phase of this process. This often heard criticism principally shows the lack of understanding of the line and practice of the THKP-C. The critics cannot and will not understand that the definition only deals with the basic characteristics of the phenomenon, that it was defined in relation to other people’s war strategies. From their misconception, the critics conclude that the THKP-C wants to realise the revolution by means of the vanguard war. But this general definition does not explain the people’s war in our country completely. The imperialist conditions and the exploitation methods of the third period of crisis brought changes in the economic, political and social structure of our country, like in all neo-colonies. Without looking at those changes, a successful revolutionary strategy is impossible. politicised military people’s war strategy. This principle determines how the war is wages in neo-colonial countries like ours. At the same time it shows the relations between the different classes and areas of the struggle. Reduced to the essence, all people’s wars are politicised military wars (Politiklesmis Askeri Savas: PAS). Because the armed propaganda is decisive in our country, this strategy is defined here as PASS (Politiklesmis Askeri Savas Strategisi: politicised military war strategy). 1) The people’s war in our country will go through a phase of the vanguard war in which armed propaganda is the principal form of struggle. 2) The people’s war in our country will be continued according to the principle of the united revolutionary war, starting on the unity between the urban and the rural areas. 3) In our country, liberated areas will be impossible in the beginning of the people’s war. 4) The classes on which the people’s war is based on in our country are the working class, the peasants and the petite bourgeoisie. The role of the working class and the petit bourgeoisie has increased, compared to the people’s wars of the second period of crisis. 5) The organisational principle of the people’s war in our country is the unity of the political and the military leadership. The people’s war in our country will go through a phase of the vanguard war. This point describes the originality of the people’s war strategy PASS in our country. It’s qualitative difference to the other people’s wars lies in the phase of the vanguard, based on the armed propaganda. The vanguard war is the first phase of our people’s war. This phase has a strategic importance in our country’s people’s war. A strategy which renounces this phase of the vanguard war cannot be successful, in view of the conditions in our country. Only with a vanguard war, by means of the armed propaganda, is it possible to draw the masses into the ranks of the revolution in a country like ours, covertly occupied by imperialism, a country where fascism has become a characteristic, where there is “an artificial balance between the oligarchy and the discontent and the reactions of the masses”. The vanguard war is waged on the bases of a form of struggle which frees the masses from the ideological-political influence by the system, which shows that the entire strength of the system is based on demagogy and hot air, a form of struggle which liberates the masses from the boundaries of the daily struggle for survival, showing them basic solutions and a goal, arming them with consciousness. The form is struggle is the armed propaganda. Several political tendencies have made the vanguard war a means of demagogy. They lack the analysis of the concrete conditions, they’re unable to develop a strategy and tactics, and it can even be doubted that they’ve really understood what a vanguard war is. They make the advance-guard war into a “war by the vanguard”, isolated from the masses, a war of a handful of heroes for the liberation of the working people. The vanguard is a phase of the people’s war, a phase on the basis of the armed propaganda in which all other forms of struggle are conversed in dialectical unity. Also the higher forms of the political struggle are developed in connection with all forms of struggle. It follows that this struggle can not be conceived as struggle by a handful of heroes, it must be seen as a struggle which requires an organisation. This organisation is a party, or an organisation which is able to fulfil its function. Even the youngest scholar of socialism will understand that a party does not consist of a handful of vanguardists, it consists of all its organisations. As such, it will have an economic, political and military minimum base. In this sense the vanguard war, waged by such a party, is not a number of adventurous actions by a handful of people. It is rather a phase in which a struggle is waged for the demands of the people who suffer from the problems determined by the socioeconomic structure. Furthermore, it is impossible to reach a conclusion about a strategy by taking the number of people who join the struggle from the beginning as the only criterion. This perspective, criticising the vanguard war, does not see the individual is a quality, it conceives it as a mere quantity. They are not putting the methods of the struggle and the tactics of the vanguard in the foreground, not the demands of the people, their enlightenment and organisation, but only the word “vanguard”. Because they’ve not really understood the importance of the vanguard war, they neither understand the notion “vanguard”. For them, the vanguard is a handful of people. Accordingly, the vanguard war is a war which is waged by a few people. They’re not able to understand the economic-political situation of the country, nor the social, psychological situation of the masses. Therefore, they’re unable to recognise the function of the vanguard war as a phase in which the proletarian party enlightens and organises the masses with its struggle for the concrete demands of the people, showing the hollow basis of the powers that be. The only thing they can see is the word “vanguard”. Another misinterpretation, defended by the representatives of this view, is that the vanguard war means permanent armed action, that the vanguard phase is the phase in which the vanguardists carry out armed actions and wait for the masses to recognise the facts and join them. Does the vanguard war mean permanent armed action? Doesn’t it know another form of action besides armed propaganda? “the vanguard war comprises all other forms of struggle (economic-political, ideological and peaceful political struggle), based on the armed struggle, in one single phase.” (p. 60-61) MAHIR CAYAN, as well as the brochure of DEVRIMCI SOL, explain that the vanguard war demands the subordination of the economic-democratic and the peaceful-political forms of struggle to the armed struggle. In the phase of the vanguard war, the struggle is waged with the dialectical unity between all forms of struggle. Abstractly seen, this is the view of the THKP-C about theory and practice of the advance-guard war. The second misinterpretation conceives the masses as a herd in whose name the revolution will be achieved. This absurd view, according to which the vanguardists carry out armed action while the masses watch them until “the day comes” where the masses will follow the vanguardists like lambs, is the demagogy of the reformists and opportunists who want to subscribe to the view of the THKP-C. When the proletarian party does not organise the masses on a daily basis, when it does not develop appropriate forms of organisation, when it does not achieve a situation in which the masses make this war their own, then this struggle is not an vanguard war, it’s the struggle of a foco (a small group of guerrillas). The political mass struggle doesn’t depend on the condition that the masses participate in the struggle from the beginning, the condition is that the struggle is about the demands of the people, putting them on the agenda, organising itself on this base. Otherwise the class struggle cannot achieve a mass character. It’s fact which cannot be doubted that the THKP-C was anchored within the masses the strongest with their practice. Its theory and practice comprise the vanguard war. Therefore it can not be taken seriously when it is claimed that the THKP-C was waging an vanguard war which conceived the masses as a herd for which the revolution would be realised by the “vanguard”. The basic form of struggle in the vanguard war is armed propaganda. Armed propaganda is a form of guerrilla warfare. Guerrilla warfare can be applied as a military tactic of a besieged army against a strong army or it serves to tire out and destroy the opposite army in the hinterland of the enemy. But it can also be applied as a means of struggle of several forces against a central authority. Marxism has transformed this military war tactic into a part of the political struggle. MAO called guerrilla warfare an inevitable form of struggle, given the semi-feudal and semi-colonial conditions in China, thus emphasising its importance. “The war of the broad masses of an economical backward country, resisting a heavily equipped and well trained aggressive army…” The reason for the application of guerrilla warfare until the formation of a regular army in both revolutions was that it was the most suitable form of struggle as a military tactic. According to MAO, the importance and function of the guerrilla war in China and Vietnam lies in “developing the uprisings”. The guerrilla war, led by the proletarian party, develops uprisings, transforms them from spontaneous to consciously carried out and organised uprisings. Until regular armies are set up in these countries and the front war establishes a secure position, it is the basic form of struggle. During the phase of the struggle by the regular army, the guerrilla war is continued, subordinated to the front war. In our country, covertly occupied by imperialism, guerrilla warfare – specifically called “armed propaganda” – is the basic method of the revolutionary struggle, in the rural areas, as well as in the cities. But guerrilla warfare was not only chosen as the basic form of struggle because of its importance as a military tactic or for developing uprisings. Decisive was rather its political importance under the circumstances in our country. As both descriptions show, the guerrilla war in our country differs from the guerrilla wars in the classic people’s wars in its political contents. 1. A political means of mass struggle, explaining the political facts. 2. A means of struggle which draws the people into the ranks the revolutionand organises them. Armed propaganda came into the foreground as a result of the conditions and contradictions in the neo-colonial countries, created by the third period of crisis. The Cuban and the Nicaraguan Revolutions, in which this form of struggle was put into practice, and where it was proven right, entered history. The explanation of the political facts, one of the goals of the political struggle, is possible in countries like ours because of the highest form of political struggle, the armed struggle. Its most effective form is armed propaganda. Because the country is under imperialist occupation, democratic rights and freedom are extremely restricted. The smallest movements are crushed by oppression and violence by fascism. Under these conditions, armed propaganda is the principal way to enlighten the masses about the political facts, to reply to their demands, to offer them solutions and organise them because of these solutions. Even though our people see the influence of imperialism on our country, attempts are made to get them used to the occupation by means of a bombardment of “the culture of imperialism”. The “spooks” who propagate anti-communist theories and the imperialist “consumer culture” serve this goal. In particular, the processes after 1970 and 1980 were important steps by imperialism in this case. While the national consciousness deteriorated, imperialism changed its occupation and exploitation into “a relation of mutual interests”. The national consciousness, standing up against the imperialist exploitation, has changed into a view of “whatever you sell is profit”. The economical instability, in connection with usury, cheating and the distorted consumer culture created a philosophy of self-interest in which it is all about getting rich instead of standing up against the regime. Values like “honour” and “dignity” are sacrificed to individual gain. Because the system is constantly propagating this, a corresponding consciousness is created, starting with the elementary schools. Hundreds of years of experience and the violent oppression and intimidation policy of fascism keeps the discontent of the people within certain limits. The generally spread view of a “strong and unbeatable state” pushes the people into passivity, into submission, “fate” is depoliticising them. Oppression and injustice are seen as something that has to be “endured”, “that’s how it was and always will be”. The juntas of March 12, 1970 and September 12, 1980, stabilised the artificial balance between the discontent and the reactions of the people against the regime and the oligarchy. Oppression and exploitation were accepted as fate. The conditions for the armed propaganda, compared to the years before 1970, had ripened, its necessity had become obvious. Armed propaganda is the highest form of the political struggle. It exposes the imperialist occupation, the filth of the system, it uncovers the policy of the oligarchy. It explains the line of the revolutionary struggle against oppression and violence by the oligarchy, it give the masses a goal, develops their consciousness, organises and mobilises them in a certain direction. We have already mentioned that armed propaganda is in a dialectical relation to the other forms of struggle, that this has to be so. What does this mean? Especially that, contrary to all the demagogy, not everything is looked at one-sided. 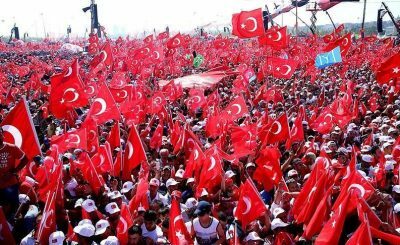 Of course, the liberation struggle of the people is Turkey is waged on the basis of the armed struggle, but the armed struggle itself can not lead the revolutionary struggle of the people in Turkey to victory. The armed struggle must be waged in unison with the other forms of struggle. That the armed struggle is decisive for all other forms of struggle does not mean that the ideological, democratic, economic and unarmed political struggle should not be waged when the armed struggle is not on the agenda. When, because of subjective reasons, the armed struggle is not waged, the other forms of struggle come into the foreground as a necessity. This process must be coached from the perspective of the PASS and it should be attempted to get rid of the subjective deficiencies. The line the struggle should follow is determined according to the measure of organisation and the struggle in all fields. On this line, the armed struggle as the highest and most effective form of political struggle will come on the agenda. The other forms of struggle will take shape and intensify according to this higher form of struggle. This means there will be a step forward in all areas. Every step forward creates new tasks, new ways of organising and new areas of activity. Under the dominance of armed propaganda, the struggle increases. The revolutionary movement will gain influence on the people, it will show itself as an alternative to the regime and determine the political agenda, or it will become an important centre of general attention. However, the process of agitation and propaganda should not be envisaged as it is often caricatured by petit bourgeois circles. According to this, an action of armed propaganda is at first followed by silence. Later, the actions which are carried out are used for propaganda. The starting point of those who want to distort the perspective of the THKP-C and those who defend this distorted perspective in the name of the THKP-C is essentially the same. Both see the armed propaganda as mere armed action. What they conceive as political work is the propaganda by armed actions. The left outside the THKP-C interprets armed propaganda this way and they criticise it from this perspective. The foco-ist THKP-C interpreters on the other hand interpret armed propaganda the same way, but they don’t criticise it, they try to put it into practice. According to their view, armed propaganda, seen by them as absolute military action, is a magic stick, solving everything. The armed propaganda as a form of guerrilla warfare doesn’t have such a mission. It fulfils its mission as the basic form of struggle according to the PASS in connection with the other forms of struggle and is the personification of the masses and their demands. Alone it can have no other function as the individual armed action. A natural consequence of this misinterpretation is a false way of organising, It was a tendency of the left outside the THKP-C to misunderstand the PASS as an absolute military way of organising, as a cell organisation which will carry out armed propaganda. Some of these interpreters have, according to their interpretation, organised themselves as focos for the armed struggle and created a caricature of the THKP-C. Organising according to the PASS is political-military organising. It is realised on all levels as a unity between the economic-democratic, ideological, armed and peaceful political forms of struggle. The party organising in the phase of the advance-guard war will proceed in this context. Together with different objective and subjective conditions, determining the general framework, the needs in the development of life will produce different forms of organising. The organising in the phase of the vanguard war will have to incorporate some changes in its development. This phase in which wide-ranging broadening of the party among the masses necessitates a military organising will be dealt with later. >From the perspective of the United Revolutionary War the cities gain more and more importance, although the rural areas still constitute the basis. The validity of this view is confirmed today concretely in the struggle on the Philippines. The revolutionaries on the Philippines missed a historic moment because they were unable to establish this unity. For example, the Communist Party of the Philippines was unable to use the fall of Marcos because they were only rooted in the rural areas and couldn’t mobilise the masses in the cities. In the semi-colonial, semi-feudal countries of the second period of crisis like China and Vietnam, the basic fields of the struggle were the rural areas. The role of the struggle in the cities was primarily limited to supporting the struggle on the countryside. This way of formation of the people’s war is a result of the form of imperialist occupation and the economic, social and political conditions in these countries. They were under overt occupation by imperialism. The military control of imperialism over the larger cities is a characteristic of such an occupation. In the rural areas, the “soft underbelly of imperialism”, it does not possess such possibilities of control. On the other hand, feudal relations determine the social-economical conditions on the country-side. Here feudal exploitation rules, continuing spontaneous uprisings of the poor peasants, hardly differing from slaves, are setting the agenda. In contrast to the feudal relations and their strength, capitalist production is only slightly developed. As a consequence, the qualitative and quantitative development of the proletariat is weak. The main focus of the people’s war in these countries must therefore be on the rural areas. The most important class to lead this war is the class of the peasants. The situation in the neo-colonial countries like ours is different. The United Revolutionary War is waged on the basis of the conditions and contradictions, produced by the third period of crisis. The economic, political and social situation of neo-colonial Turkey brought corresponding changes: although not equal to the cities, the oligarchy possesses a strong governing network in the rural areas as well. As a result of the dissolution of feudal relations on a wide scale, the institutions of the rulers are organised here in all areas as well. This control is intensified by oppression and intimidation. – the liquidation of feudalism has progressed widely. Of intensive feudal exploitation, only remnants remain. – the predominant structure of the majority in the rural areas, the peasants, is petit bourgeois. Spontaneous uprisings are out of the question. – the predominant method of production is a distorted capitalism, imposed from top to bottom. – The light and middle industries, imported from abroad, brought a development and growth of the proletariat. – capitalism speeded up the migration from the villages to the cities, encouraging urbanisation. – the development of capitalist conditions in countries like ours led to differences in the relation between cities and the country-side, compared to the semi-colonial, semi-feudal countries of the second period of crisis.These differences have their effect on the fundamental forces, areas and the forms of the war, et cetera. The cities, with their continuing class contradictions and their economic, political and social structure achieved, compared to the past, a greater importance in the development of the revolutionary struggle. It’s inconceivable for a revolutionary movement not to address this development, limiting its struggle to the rural areas. Based on the analysis of the concrete conditions in the countryside and the cities, the PASS is waged with the perspective of the United Revolutionary War. >From what has been said till here, it should not be concluded that the main area of the revolutionary struggle in our country will be the city. This would mean not having understood the revolutions and people’s war in the semi- and neo-colonial countries. In a country where capitalism has developed with a dynamic of its own, where the proletariat is qualitatively and quantitatively strong, and where there’s no imperialist occupation, the city can be the basis for a revolutionary struggle. The best example for this is the Soviet October Revolution of 1917. The city is the basis of the revolutionary struggle of a revolutionarystrategy which bases itself on the total uprising. But our country is a neo-colony where the basis of the revolution, like in all people’s wars, is the countryside. But this must be seen from the perspective of the United Revolutionary People’s War and the dialectical unity between city and countryside. The importance of the rural areas as a basis only makes sense in the dialectical unity between city and countryside. Because of the social-economical conditions, the cities in our country are becoming more important, the proletariat is qualitatively and quantitatively developed. Here it can not be the road of the revolutionary movement to equal our country to countries like China or Vietnam and to use the revolutions in these countries as a model. Nowadays the rural areas are, compared to the people’s wars of the second period of crisis, are submitted to a stronger control by the central authority. This is a result of the development in the neo-colonial countries and the this given economic, social and political characteristics. New possibilities developed in the cities which must be used in the revolutionary struggle. The revolutionary movement must neutralise the disadvantage in the rural areas by making use of the new situation in the cities. “Our experiences have shown that it is possible to unite the struggle in the cities and the struggle in the rural areas.”These words come from the lips of a revolutionary who achieved victory. They confirm the principle of the United Revolutionary People’s War. The growing importance of the city and the people’s war from the perspective of the strategy of the United Revolutionary People’s War result in the fact that the struggle in our country is gaining in diversity. This diversity will first show up in the cities. The cities will transform into battlefields where the masses will deliver blows to the enemy with different forms of organising, aiming at conquering power. The role of the cities in the people’s wars in China and Vietnam was primarily limited to being a logistic supply centre and support for the struggle in the countryside. Now the cities are gaining importance because of the struggle about specific questions and as a supplement to the struggle in the rural areas. In the context of the united revolutionary struggle, the armed struggle is the basic form of struggle, on the country-side as well as in the cities (during the vanguard war: armed propaganda). The revolutionary struggle, based on the armed struggle, must gain in diversity, from the most close form of cadre movement to the broad masses’ movement, from the different forms of political struggle, armed or unarmed, to the economical-democratic struggle. This diversity will result in secure forms of organising and support bases for the revolutionary struggle in the cities as well. In our country there will be no liberated areas from the beginning. One of the most important points of the people’s wars of the second period ofcrisis was the existence of liberated areas, right from the beginning. On the basis of the liberated areas, spontaneous peasant’ uprisings took place against the imperialist occupation, the semi-feudal structures and the feudal tyrants. Revolutionary organisations have the duty to expand these liberated areas. They constitute the fundamental support bases of the people’s war by taking over the revolutionary leadership of the existing support bases. MAO’s phrase of the “red political areas” for the liberated areas illustrates their major importance for the Chinese people’s war. The liberated areas in these people’s wars are political and military centres where the revolutionary leadership is founded, where the imperialist occupation and feudal rule are ended. The core of the people’s power, the people’s army, is formed and developed in these centres. But in our country there will be no such liberated areas from the beginning of the people’s war. The strong control network of the oligarchy, spread to all corners of the land and based on the imperialist occupation and the passivity of the masses which doesn’t allow spontaneous uprisings, prevents the emerging of liberated areas as in China and Vietnam. Liberated areas will only emerge during the more progressed phases of the war, and they will do so in specific forms. Based on the progress of war and the new form of imperialist warfare, liberated areas can not be established overnight. Liberated areas, totally under control, where all kinds of organising can be achieved and where the social, political and economic life of the people can be reshaped, can only be realised in a phase of the war in which a regular army has emerged and where it has a certain power. Liberated areas will be on the agenda at the moment where we are so strong politically that we can defend ourselves militarily as well. To speak of liberated areas before such a stage is reached would be day-dreaming and thinking in set patterns. A movement which is still in the process of party-building and talks about liberated areas would be absurd. The fact that the press and statements of the oligarchy, prior to the coup of September 12, talked about the activities and organisations in the gecekondular (slum areas) as “liberated areas” was pure demagogy. DEVRIMCI SOL never called these areas “liberated”. In this phase, the liberation of such areas is not conceivable. What is characteristic for these areas is that the struggle and the organising has progressed more than in other areas and fields of struggle. One of the most important themes of a strategy is determining the classes which will participate in the revolutionary struggle, according to their role. Essentially it is determining the basic and leading classes of the revolution. How will the list of classes, a major factor for the success of the revolution, look like in our country? 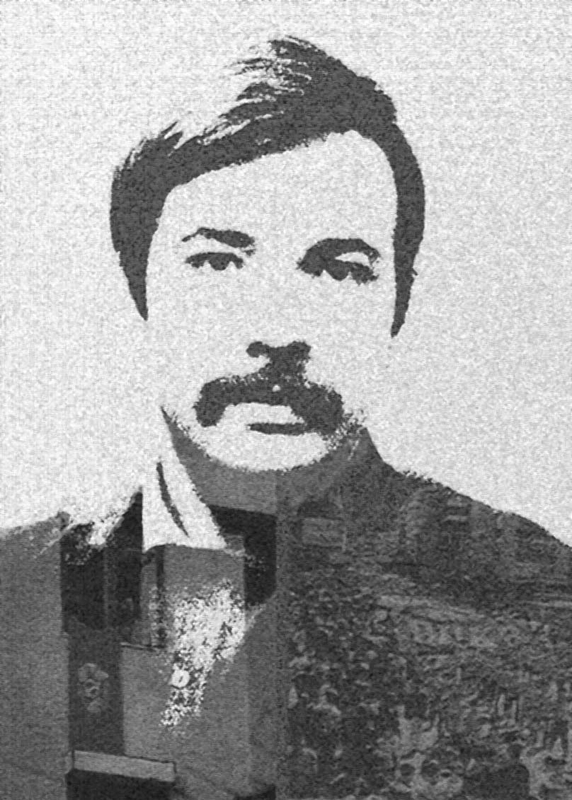 The basic classes of the revolution in Turkey are the working class, the peasants and the petit bourgeoisie. The revolution will base itself on these classes, the people. But it’s not enough to determine the classes, their differences have to be determined as well. The most revolutionary class of our age, the proletariat, is also the leading class in the people’s war in our country. This leadership by the proletariat is expressed in the proletarian party. The proletarian party takes over the ideological-political leadership of the struggle for a classless society, it leads the oppressed people’s classes and segments, according to ist strategic line. This is how the question of leadership is answered in Marxist literature, and this is how it will happen in our country. But a certain view of a petit bourgeois deviation, rooted in the Mensheviks in the Soviet Revolution and still having followers today, has introduced complications into the question of the leadership of the proletariat. Those in our country who mimic the Menshevik view see the proletarian party as a party where the majority are proletarians and the leadership of the proletariat is seen as following the Soviet uprising strategy. 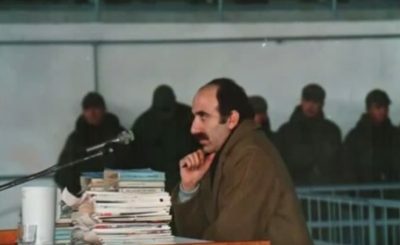 In the years 1969-79, when there were intense debates about the way to achieve revolution in Turkey, MAHIR CAYAN determined the strategy of the revolution. He defined our revolution as an anti-imperialist, anti-oligarchic people’s revolution. At this point, the distance between the right and the left ideological-political lines becomes obvious. The question of the leadership of the proletariat plays an important role by determining the line between Marxist-Leninists and the dogmatists who think in set patterns. MAHIR CAYAN drew the line between himself and those who interpret the leadership of the working class as the Soviet strategy of uprising in his definition of the strategy of the revolution in our country: this is not the strategy of the uprising, it’s the strategy of the people’s war with the perspective of the United Revolutionary People’s War. And he defines the leadership of the working class: “the character of the leadership of the working class is ideological”. This definition was not made to state that the working class will not lead the revolution, it was made to explain that one should not interpret the question of leadership of the working class in our country in terms of the Soviet strategy of uprising. Nowadays, after 20 years of practice of the THKP-C views, it has been shown what role the working class will play in the revolution in Turkey and what their leadership will look like. A discussion about whether the leadership of the working class is ideological or practical is abstract and unnecessary nowadays. It has been made clear who defends the strategy of uprising and who defends the strategy of the long people’s war. In our people’s war, led with the perspective of the United Revolutionary People’s War, there is no difference between the statement “the character of the leadership of the working class is ideological” and “the working class is the leading force”. The basic classes of our long-lasting people’s war are the peasants, the working class and the petite-bourgeoisie. The class of the peasants, the majority of the participants, will be the motor of the revolution. This must be understood in the sense that the peasants will pose the majority of those who participate in the revolution. During the development of the people’s war, it is possible that the struggle in the cities will come into the foreground, within the unity of the struggle in the cities and the struggle in the rural areas. Because the rural areas are the basic area of struggle in our strategy, and the peasants pose the majority in these areas, they will be the biggest participating force of the revolution and play a major role among the fundamental classes. Their importance and their role as a motor isn’t just determined by their numerical strength. An important reason for their important position among the basic classes of the revolution is their roots in the rural areas and their contradiction with the oligarchy. The class of peasants, participating in the revolution, consists of all farmers, except the feudal agas and the major landowners. The other basic forces, the proletariat and the petite bourgeoisie, constitute the major mass basis of the revolutionary struggle in the cities. Here the proletariat is the motor. The first phase of our people’s war is the advance-guard war. This should not be interpreted mechanically in the sense of a automatic order like “the vanguard war is the first phase, then we pass onto the second phase (regular army). Phase 1 and 2 are separated from each other, when one ends, the second follows.” Our revolution will go through many interim phases, formed by the vividness and changes of life. We say the advance-guard war is the phase where the masses are drawn on the side of the revolution. This is to say it’s the phase of organising the masses for the war in which they will participate. It’s impossible to determine already when this phase will be ended. “… with the destruction of the artificial balance, the war will become broader and achieve a mass character. So the armed propaganda of the advance-guard war ends its characteristic as a basic form of struggle. When the war changes into a war of a regular army, guerrilla warfare will play a subordinated role, supporting the regular army.” (p. 67) Dealing with the first phase of our people’s war in the context of the basic form of struggle and determining its limits within the entire people’s war strategy is not sufficient to explain to people’s war in our country, nor is it sufficient to explain the differences with the vanguard wars in other countries like Cuba and Nicaragua. The vanguard war in our country in the context of the dialectical unity between city and rural areas, considering the “local, historical traditions, customs and the level of development of the productive forces”, as well as the stage the class war has reached, must contain different tactical phases. The creation of the rural guerrilla and a test of strength. In both phases, the psychological war of pulverisation will be predominant. This sequence by MAHIR CAYAN is a product of the condition of 1971 and is not absolutely valid. The fact that MAHIR CAYAN poses the question “why did we start with the urban guerrilla”, immediately after listing this tactical phase, and derives the reasons from the conditions from that time, is a sign that this sequence is a product of the conditions of that period. The conditions after September 12, 1980, and the characteristics of the process from 1974 to 1980 have shown this sequence can not be valid under all circumstances. The concrete question of the class struggle, ist development and the balance of forces will change these tactical phases. Some dogmatists who don’t understand these changes and see this sequence as something which can never be changed, could argue that the THKP-C has created the urban guerrilla and that it is now our actual task “to develop the urban guerrilla and create the rural guerrilla”. Against this kind of dogmatism, which can’t be realised (and have been realised nowhere), DEVRIMCI SOL defends the view that this sequence is not valid, considering the present conditions. Also under the conditions of the process of becoming a party, it’s the task of an organisation which defends the views of the THKP to organise the potential which is concentrated in the cities and to mobilise the masses on the basis of the anti-fascist struggle against the fascist movement which tries to suppress the people by means of terror and demagogy to create a basis for themselves. It was concluded that it is possible to fulfil the actual and the long-term tasks with a struggle that mainly develops the organising in the cities and then spreads, bit by bit, to the rural areas. That the cities gained in importance in this way means that they are put into the foreground in the context of the strategy of the United Revolutionary People’s War. DEVRIMCI SOL did not limit the struggle to the cities. But because of its internal development and the unfavourable subjective situation, appearing on the political stage as a new organisation, it was not possible to organise the activities in the rural areas as well as was necessary. Despite these adverse conditions, the organisation of the struggle and the question of how the organising and the struggle should proceed, was constantly on the agenda. This conclusion of DEVRIMCI SOL has proven itself in the concrete practice of life and the life importance of organising on the countryside was shown. “The crisis of the oligarchy gets deeper day by day (…), the deeper the crisis gets, the heavier the oligarchy attacks. (…) Under these circumstances, the class struggle cannot wait for our preparation. Therefore we have to, in the context of the dialectical unity between city and rural areas, speed up the move by the revolutionary forces, concentrated in the cities, to expand to the countryside to give the movement in the cities some air.” (“The movement, concentrated in the cities, must be broadened to the countryside”, No. 3, July 1980, p. 4) DEVRIMCI SOL expressed that the concrete conditions and the perspective of the United Revolutionary People’s War force the struggle in the rural areas to the foreground, it emphasised several times the importance and necessity of this question. The words “Under these circumstances, the class struggle cannot wait for our preparation” already shows the importance and necessity sufficiently. This situation, explained a few months before the military coup of September 12, 1980, has been on the agenda of DEVRIMCI SOL since it appeared as an organised force on the political stage. The subjective and objective deficiencies, mentioned above, however hindered this development. The terror of the fascist September-coup made the deficiencies in this field felt for a long time. Although the guerrilla was able to defend ist existence in these areas for a long time, it lost its effect because it didn’t assume a constantly developing and stronger growing character. In the brochure of 1983, “The development of our movement and the revolutionary struggle”, this situation of DEVRIMCI SOL is evaluated: “Our movement, given the objective and subjective conditions, was unable to intervene in these areas (the countryside) with an effective programme, adjusting to the rapidly developing class struggle prior to September 12. When we look at the process before September 12, 1980, in a more simplified way, it can be seen that the phases of the advance-guard war can not be mechanically schemed. To declare a sequence, as a product of the conditions of a certain epoch, universally valid would not develop the struggle, on the contrary, the struggle would be hindered. The practice of DEVRIMCI SOL during the process of party-building has shown the correctness of this view. Like DEVRIMCI SOL doesn’t analyse the development process and phases of the vanguard war separately from the country’s conditions, the question of how the phases of a regular army will look like is dealt with likewise. It’s not possible today to describe the tactics and lines of the people’s army in detail and schematically, without answering the question which forms it will take. The people’s army will not be realised in one single area, it will be created by the guerrilla army, emerging in the cities and in the rural areas. The political powers that be, disintegrating because of the long armed struggle by the guerrilla army in the cities and the rural areas, will also lose their strength in the areas where they’re living themselves. Accordingly, and because of the increasing intensity of the armed struggle, the heightening revolutionary situation, the participation of the masses in the ranks of the revolutionary movement will grow. This phase is a process in which the guerrilla army will be transformed into a people’s army, in which the revolutionary people’s power will be established. This will expand, destroying the strength of the political powers through continuous attacks, preparing for the decisive attack. During this process, the co-ordination of the struggle in the cities and in the rural areas is very important, and it’s also important how the masses will participate in the last attack. Whether the masses in the cities will rise up, or participate in a general strike, or join the people’s army in large numbers, et cetera, this can not be known yet. But the revolutionary movement has to create armed forces, under all conditions and in all areas, the cities, the rural areas, the mountains, and to be prepared for an attack which they will lead. In all colonial, semi-colonial countries, occupied by imperialism, the party must – from the beginning – also have a military organisation, because the liberation from imperialist occupation is only possible by a people’s war. The party which will lead the people’s war must possess the capacities which will enable it to take over the leadership in the people’s war. For example, the people’s war in China was led by the Chinese Communist Party. And the CCP led the war – which is the continuation of politics by other means – with a strategy and tactic, determined by the Central Committee, and fought by the People’s Army, controlled by the political commissar. This principle is also valid for the neo-colonial countries of the third period of crisis. Besides, there are a number of differences, brought on by the changing methods of neo-colonialism, especially in the phase of the people’s war. These differences were formulated by M. CAYAN as the principle of “the unity of the political-military leadership”. This means the party itself has to wage the armed struggle in the beginning. It will not have, like for example in China, a separate army organisation from the beginning. This principle, which could be called the leadership by a single staff, is the organisational principle of the PASS. The military actions will be directly on the agenda as a means of political propaganda and these actions will be the main element of political activity of the party. 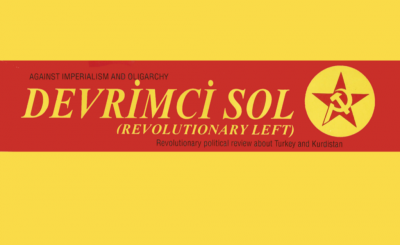 DEVRIMCI SOL never neglected the fact that the proletarian party is a political organisation. DEVRIMCI SOL, correctly analysing the conditions in our country, concluded that it’s impossible – given the present conditions – to create consciousness among the masses by just agitation and propaganda. One must wage an armed struggle and put this into practice from the PASS perspective. Therefore our organisational principle is the unity of the political-military leadership. The process of becoming a party was given shape according to this principle and from this perspective, and the organisations were created in the struggle.